In this modern era of Gadgets and digital devices, Data loss has become the most damaging thing that can happen to a business or organization. Our digital devices are not at all reliable and they can get corrupted or damaged at any time losing our data stored on it. According to StorageCraft, 31% of the data loss is caused by system and hardware failures, 29% due to some human error, and remaining 29% because of some malware attacks. The worst part is that there is no tool that can ensure that your data will never be lost and will remain safe. However, there are some Best Data Recovery Softwares which can help you to recover your deleted data even from corrupt storage devices. How these Data Recovery Tools Works? Whenever you delete some files from your storage disk, it doesn’t actually get deleted from the memory. Instead, it just removes the entry of the files from the storage table. When we add more data to the disk, this storage space gets rewritten. This is where these tools help us to recover our deleted data. As only the Storage Table entry is deleted, the data is still there on our device and hence can be easily recovered using any of the tools mentioned below. These data losses can bring huge losses to businesses and organization. Whenever some data loss occurs, a large amount of resources needs to be invested to fix the loopholes occurred in the system. The situation can be worse if users personal data is leaked over the Internet causing reputational damage to the organization. EaseUS Data Recovery is one of the simple and safe tool to recover deleted data from all the platforms(Windows, iOS, Android). The interface is quite handy as you just need to scan your device and select the files you wish to recover. With this tool, you can recover data from sudden deletion, corrupted files and hard drives, system crash, volume loss, and malware attacks such as Petya and WannaCry RansomWare. The free version allows you to recover up to 2GB of data whereas the Pro Version gives you unlimited recovery attempts. You can recover from a wide range of data formats like Documents, Graphics, Audio, Videos, and E-Mails. Recuva is one of the Best Data Recovery Softwares available for Windows and is designed by Piriform Ltd. With Recuva, you can recover pictures, documents, videos, music, emails or any other file that you have lost or deleted by mistake. 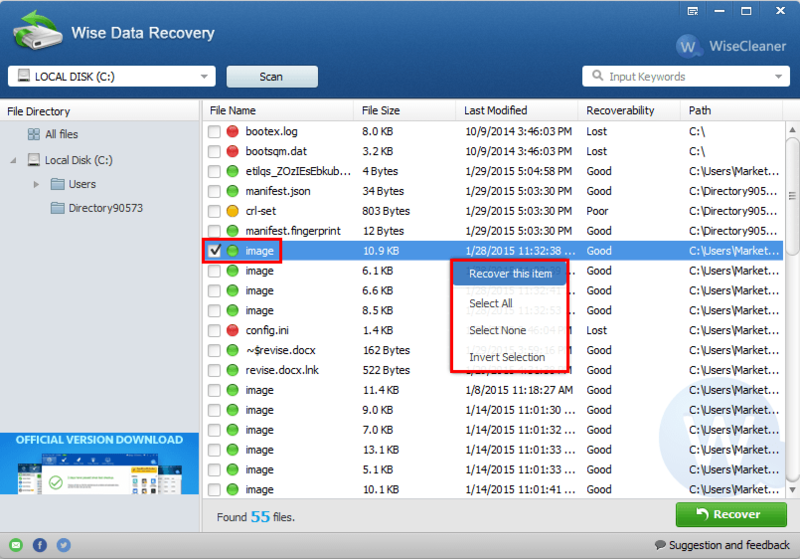 You can also recover data from damages or newly formatted drives in just a few clicks. Its Deep Scan feature allows you to look for hard to find files and recover them with ease. With its Secure Overwrite feature makes sure that that files you have deleted is completely erased. This military standard deletion technique ensures that your files stays erased and cannot be recovered. Disk Drill by Cleaver Files is a cool Data Recovery Tool designed for Mac and Windows users. This tool uses multiple recovery methods and is capable to recover more than 200 different file types. Although Disk Drill is available only for Mac and Windows, you can connect your smartphone with your PC and recover data from iOS and Android devices. Disk Drill comes with lots of Additional free tools such as Duplicate Finder, Data Protection, and Disk Health. The free version of the software is sufficient for most of the recovery while the Pro version costs $89. Price: Free, Pro Version at $89. Free UnDelete is another Data Recovery Tool available free of cost for personal use. It doesn’t offer advanced customization but is capable enough to recover any type of deleted or corrupted data. All you have to do is scan the drive, see the results, and recover the data. After the scanning the drive, it will show you a list of all the files and that can be recovered. You can either select the specific files to be recovered or can select the entire folder to recover all the contents in a single click. This software is available free for personal use while the enterprise version costs $69-$103. Wise Data Recovery is one of Best Data Recovery Softwares with simple, clean, and easy to use interface. With its advanced algorithm, this data recovery tool has the fastest data scanning speed thus saves your precious time. The portable version allows you to recover your lost data without installing any software on your device. Wheather you deleted some files accidentally or encountered a system crash, Wise Data Recovery will solve all your data loss problems. You can recover your lost and deleted files from different devices like hard-drives, Memory Card, USB Drive, Smartphones and MP3 Players. So, this was our list of some of the Best Data Recovery Softwares that you can use to recover your deleted or lost data. All these tools have its own pros and cons, so you can choose any of them depending upon your requirement. If you think we missed something in the list, then please comment down below. We would love to hear back from you.